A.F. Sternad, 1917; Milwaukee, Wisconsin; Chicago, Illinois. Anton (aka Andrew) Frank Sternad (birth name Anton, not Andrew) was born on May 30, 1878 in Casca, Wisconsin to Frank and Katherina Sternad, two recent Czech immigrants who arrived in the United States in 1877. The 1880 US Census reveals Anton as the youngest of a family of 9 children, his siblings included Frankiska (19yo); Anna (17yo); Joseph (15yo); Mary (13yo); Frank (11yo); Katherina (8yo); Vincent (6yo); and John (4yo) Sternad. After graduating from the 8th grade, Sternad became a machinist’s apprentice after which he practiced his trade in nearby Milwaukee where he’s listed in the 1907 City Directory as Anton Sternad, occupation machinist. For reasons that remain unknown he became infatuated with road-going locomotives and in the early teens set about the construction of his own trackless train. 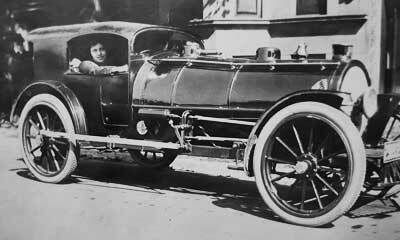 His was not the first locomotive-style automobile, Dr. L.C. 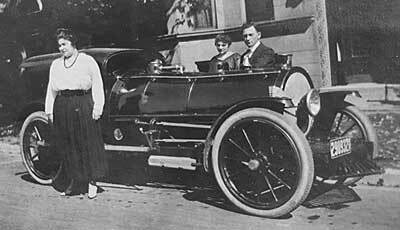 Harvey of Upland, California introduced a Ford Model T powered ‘touring train’ in 1913, and two years later R.B. Fageol created a well-known and documented ‘trackless train’ in order to shuttle tourists around the 1915 San Francisco Panama-Pacific Exposition. “TRACKLESS TRAIN IN PARIS; One with Automobile -- Like Motor and Five Cars Tested Successfully. Powered by a 4-cylinder 40-hp Rutenber gasoline engine, Sternad's attractive creation could reach a top speed of 60 mph. It was equipped with numerous working locomotive features which incldued a cow catcher, bell, single headlight, steam stack and sand dome, all of which served a useful function. Sternad’s WWI draft card dated Sept. 18, 1918 lists his occupation as mechanical engineer with the Vinton Canning Co. of Vinton, Iowa. The 1920 US Census has him living in Manitowoc, Wisconsin with his wife Marie (aged 20 b. in Illinois), his occupation, machinist. While working for Vinton he designed a Corn Ear Feeding Machine for which he received US Pat. No. 1451897 - Filed Oct 25, 1921 - Issued Apr 17, 1923 to A.F. Sternad. “With a body designed like a locomotive of the latest type, including: cab, but without the tender, an automobile owned and driven by A. F. Sternad of Chicago, on the way from Chicago to Des Moines, pulled into Cedar Rapids early today and came to a atop in Second street near Third avenue at 9:30. Within a half a minute there was a throng of curios and questioning spectators about the machine. Including, as usual, a newspaper reporter. “Mr. Sternad lifted a hinged door in the roof of the cab and stepped out, his outer suit of overalls and asked ‘Now, where can I get breakfast?’ Before he got something to eat, however, the reporter got some facts relative to the interesting machine. “Mr. 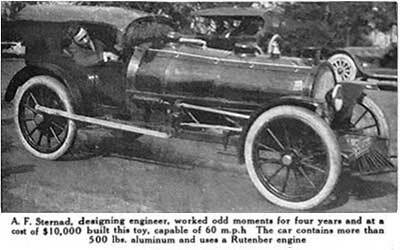 Sternad, who is designing engineer for the Chicago Solder Company, declared he designed the body and engine of the car, but that the engine was built by Rutenber Engine company of Marion, O, while he built the body himself. It is a gasoline engine but is equipped with an airline for brakes and whistle, the same as a steam locomotive. The air pumps are operated by drive rods working on the rear wheels, through a middle gear which adds to the locomotive appearance There is a cow-catcher, headlight bell, steam and sand dome, rails just like a locomotive, while the machine is geared up to sixty miles an hour, Mr. Sternad says he is well satisfied with a much lower speed, especially on country roads. 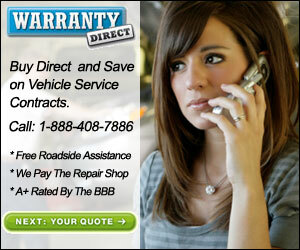 “This extraordinary looking vehicle is not an automobile, it's a gas propelled locomotive. Its designer has named it ‘The Cross Country Locomotive’. Though it has a gasoline engine like an automobile and runs over roads on automobile tires, it's not an automobile in disguise. Almost every part from frame to whistle was especially built and designed by the man who conceived it, F.A. Sternad, designing engineer of the Chicago Solder Company, Chicago, Illinois. “Every locomotive feature has a part to play in its operation. The cylinder and connecting rods on the sides that correspond to the driving parts of a steam locomotive are actual pumps that compress air up to 125 pounds pressure in the tank behind the cab. This compressed air is used to inflate tires and blow the whistle. The 'steam dome’ in front of the cab affords access to the gasoline tank. The 'sand dome' provides an opening for ventilating the motor. The 'smoke stack' is the opening to the radiator. What looks like 'clean out doors' forward of and just below the cab, are actually ventilators for the cab; the 'air brake cylinders' above these doors are an auxiliary air supply for the whistle. Kimes and Clark report that Sternad's 'Cross Country Locomotive' made several cross country trips - one from Chicago to New York, and a second from Chicago to Los Angeles into the mid 1920s. Machine for Coiling Solder – US Pat No 1942264 - Grant - Filed May 6, 1930 - Issued Jan 2, 1934 to A.F. Sternad assigned to Gardiner Metal Co.
Machine for Rolling Core Solder – US Pat No 1950525 - Grant - Filed Jul 17, 1930 - Issued Mar 13, 1934 to A.F. Sternad assigned to Gardiner Metal Co. The 1940 US Census lists Andrew F. Sternad, age 62, occupation machinist, highest grade completed, 8th grade. Also listed is his wife, Marie (aged 40 b. in Illinois), their address; 4720 Beacon Street, Chicago, Ill.
His WWII draft registration card (1942) lists May 30, 1878 as his birthdate, his occupation mechanical engineer with the Gardiner Metal Co., 1356 W. Lake. Chicago, Illinois. His personal contact was Mr. Harry Gardiner, president of the Gardiner Metal Co., his home address 4720 Beacon St., Chicago, Illinois. Sternad was not the only manufacturer of early ‘trackless trains’, other known builders include the H.O. McGee Mfg. 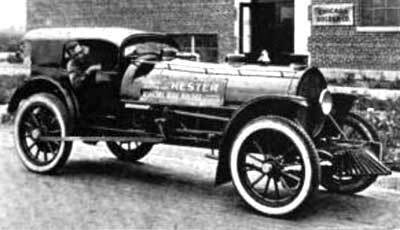 Co., and the Owens Motor Sales Co. who built a Ford Special in the early 1920s. Existing photographs reveal there were a handful of others, whose builders remain unknown at this time – one well-known promotional locomotive was used by the Norfolk and Western Railway as rolling billboard during the late twenties. The desire to turn trucks and automobiles into replica locomotives remains today, and a number of manufacturers continue to produce locomotive-themed trolleys and promotional vehicles. One popular model was sold to numerous VFW’s during the 1960s and a handful of European manufacturers, namely Dotto and Tschu-Tschu continued the century-old Sternad tradition today.